Tea and coffee are served here after the 11.15 Mass each Sunday, courtesy of members of the various parish groups as well as individual families. It is also the venue for the "Thursday Club" every Tuesday and Thursday and for functions organised by our St. Vincent DePaul Society as well as hosting Oldham's prestigious 3C's Chess Club. ST. EDWARD'S ART GALLERY Our Parish Centre downstairs hall has gone through a wondrous transformation and has now been enhanced by recent installation of a permanent collection of pictures gifted by the artists 'Gang of Four', namely, Steve Capper, Kevin Haynes, Russell Howarth and Peter Stanaway. 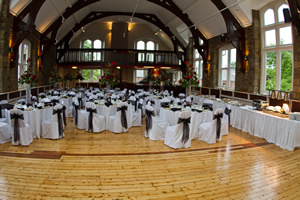 Above the "Downstairs Hall", the former church has been totally renovated to provide a Function Room for family parties,wedding receptions,events etc. and includes a kitchen and bar. A lift is available for those whose mobility is impaired.